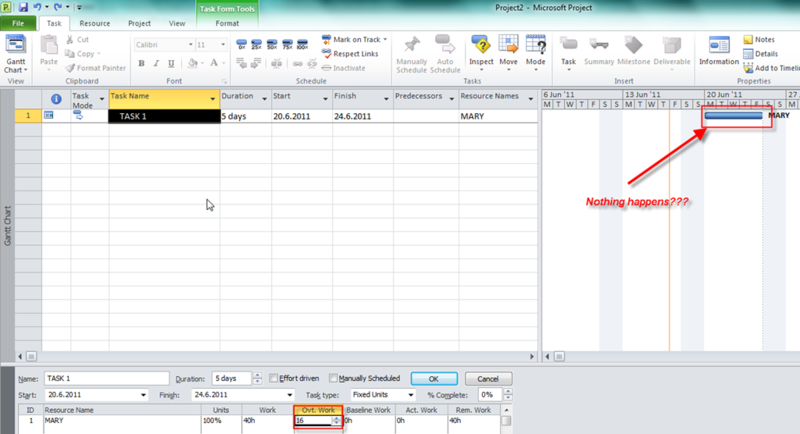 You can see that TASK 1 will have only 3 days duration. Why? Well, if you add overtime work on the task the same amount of work will be done but in shorter period. You can see 40 hours that in the Work field. Why? Because initially TASK 1 had 5 days duration (e.g. 40 hours). By adding 16 hours as overtime, TASK 1 will not last 40+16 = 56 hours, but those 40 hours will be done in shorter period. Why 13.33 hours/day? 40 hours of total work – 16 hours of overtime work is 24 hours. 24 hours divided by 8 hours regular work per day is 3 days. O.K. we have 3 days duration. And Mary will work 8 hours each day (regular work) and (16 hours of total overtime / 3 days) = 5.33 overtime hours per day. So, 8 + 5.33 = 13.33. Why? Well, Mary will work 40 hours on the TASK 1. 24 hours is regular work, and 16 hours is overtime work. 24 X $100 (standard rate per hour) = $.2400, 16 X $150 (overtime rate per hour) = $2.400. So, the total cost fore the TASK 1 is $2.400 + $2.400 = $2.800. Overtime work is complicated, so you should use it with caution! 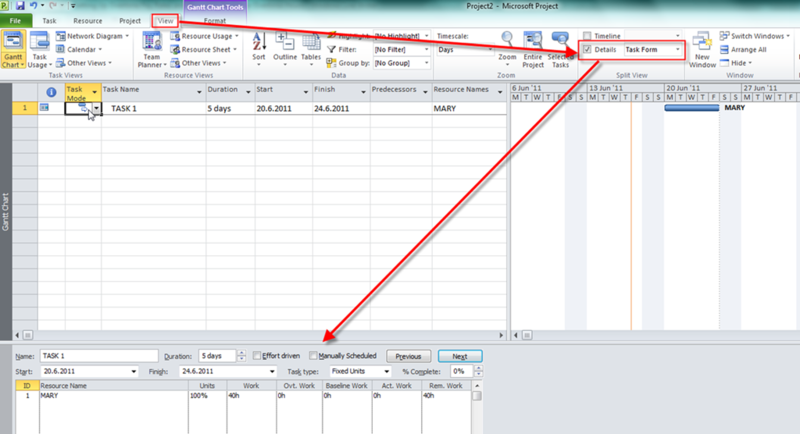 This entry was posted in MICROSOFT PROJECT, Microsoft PRoject 2010, MS PROJECT 2010, PMI, PRoject Management and tagged Micrrosoft Project 2010 - Assigning Resorce Overtime Hours, MS PROJECT, MS PROJECT 2010, MS PROJECT 2010 - assigning Overtime Pay Rates, Project Management. Bookmark the permalink. After 26.08, because I’m at Vacation ’till them! Is it OK with you? Hi, first I would like to say tanks for your above post. Actually I have one question in mind, lets say if I have one task with 3 month duration, and for some reasons I have different overtime works over the task execution period, for instance in the first month 4 hours a day, second month 2 hours a day and last month 3 hours a day and lets say overtime pay rate through task duration is same or different as you wish. 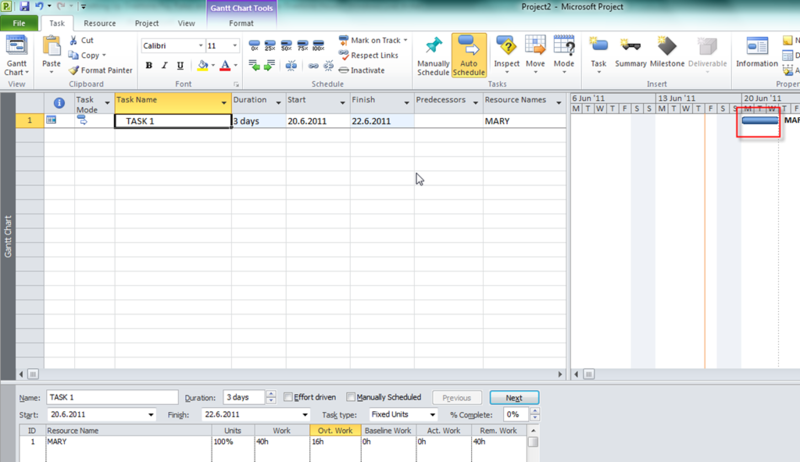 do you have any idea about how Microsoft project let’s to set up such condition ? 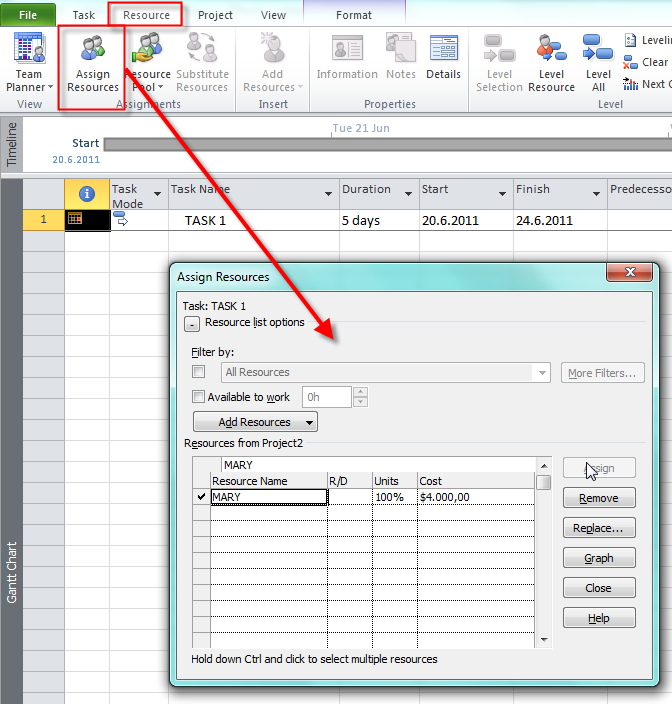 You should do it Manually throug Task Usage View! OK. 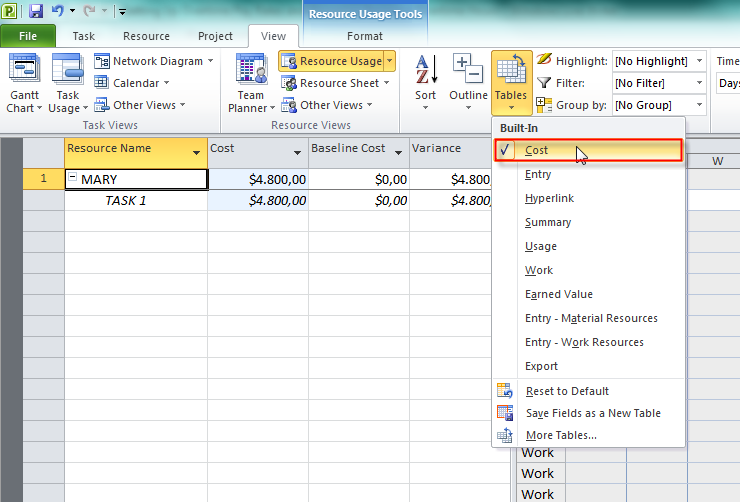 I am entering in hours in overtime work field as the instructions note but when I view the cost table, only the regular hours are calculated in the cost. This task is fixed duration for the entire month. The reason is that as overtime is added more volume is processed and the schedule does not change. We are measuring/planning resource cost per task for each month.How do I get a total cost for regular and overtime hours spent on this task? I do not understand your problem! 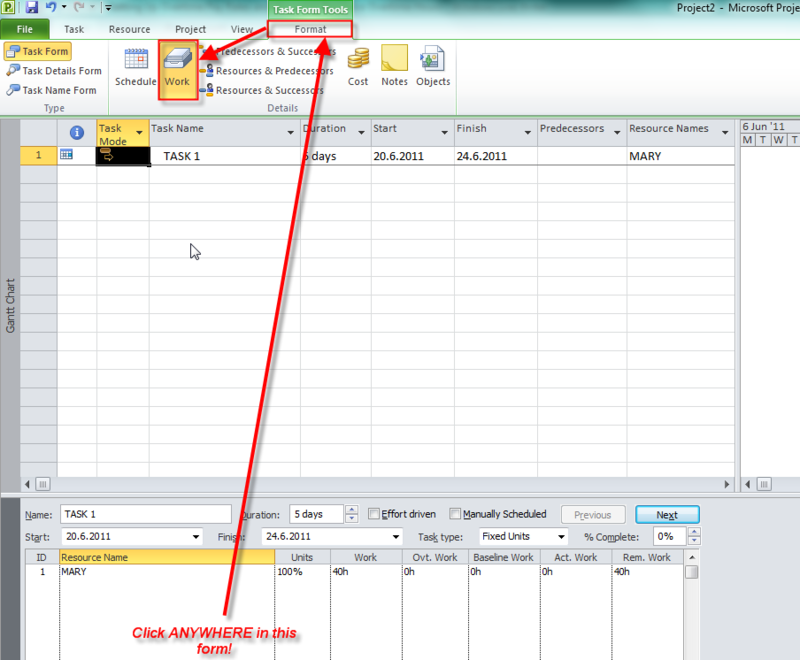 If you enter a Task with fixed duration (for example ! month) and then add a Recource, you will get 160 hours! If you put in the Overtime field, for example 80 hours, The task will be ended sooner, and you will see in the Cost Table Cost for regular + overtime work! I know that because I tried this a minute ago! Can you give me some more information please? Great site you got here. How do you setup overtime rates properly so you get the 1.5X for the first 2hrs, then 2X thereafter. Say, if you work back 4 or 5 hrs at end of a 8hr day, you get 2hrs at 1.5Xpay then 2-3hrs at 2Xpay. I can setup the 1.5X rate in the feild box like you have shown here, but i cant get another box for the second 2X rate. Basically I have a project and a few days in succession i need to assign a few people to work back a few hrs to get the job done. Sorry, but you can make different pay rates only on daily basis!